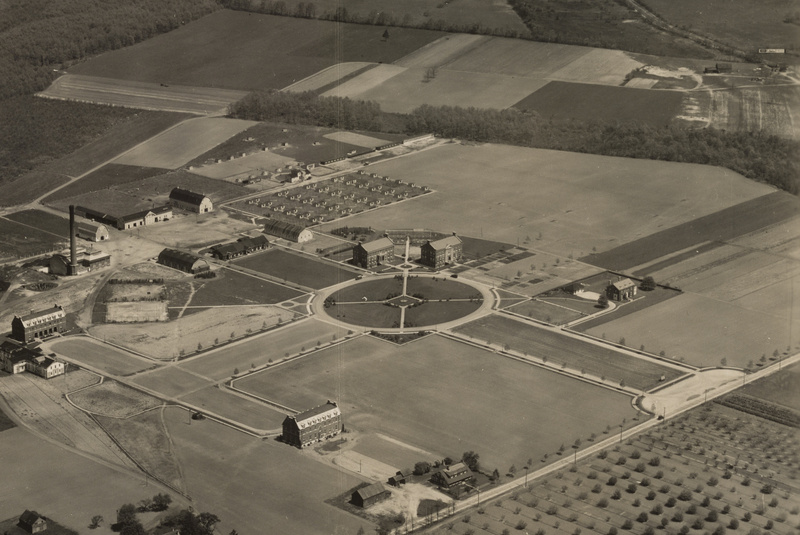 Richard Panchyk, the featured presenter at the November 7th meeting of the Long Island Motor Parkway Preservation Society, challenged you to solve another amazing Mystery Foto aerial. What is the location and the orientation of the photographer? 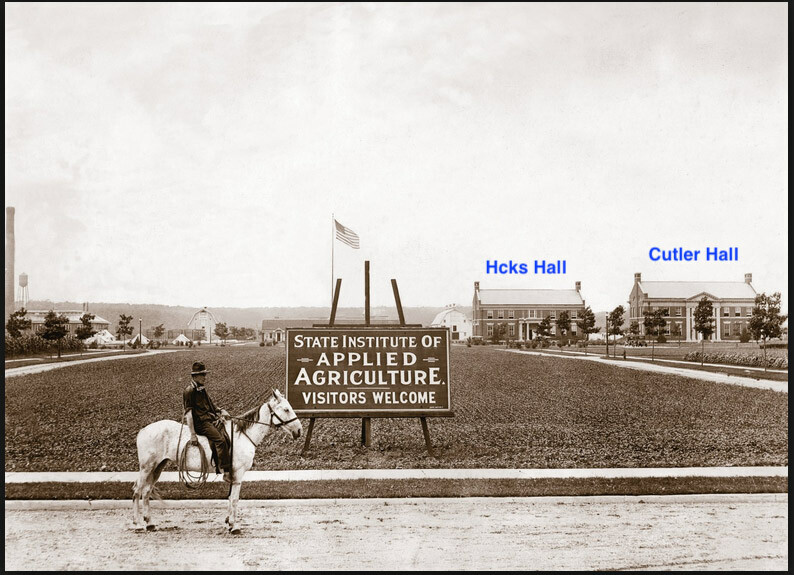 State Institute of Applied Agriculture- now Farmingdale State College. 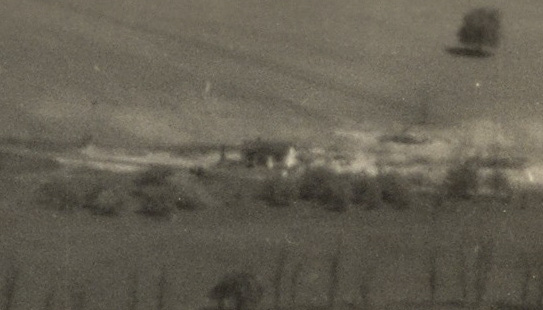 What is the approximate date of the Mystery Foto? Provide a rationale. 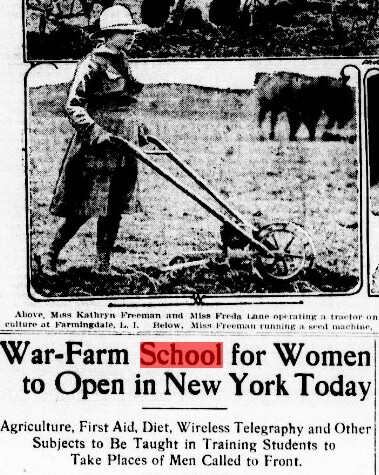 1924. 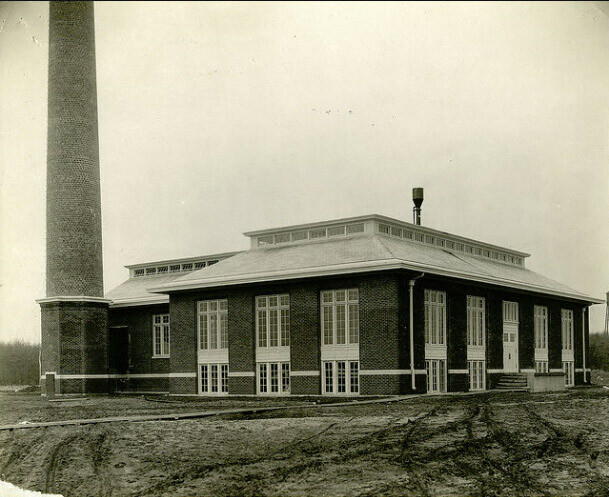 Rationale: # of completed school buildings and the Huntington Lodge that replaced a kiosk around 1922. Identify the Motor Parkway structure(s). What is unusual about the structure(s)? Broad Hollow Road/Trolley Bridge- One of only two Motor Parkway bridges built for a trolley track. Huntington Lodge- Although the entrance road from Broad Hollow Road is south of the Motor Parkway, the lodge is located north of the road. 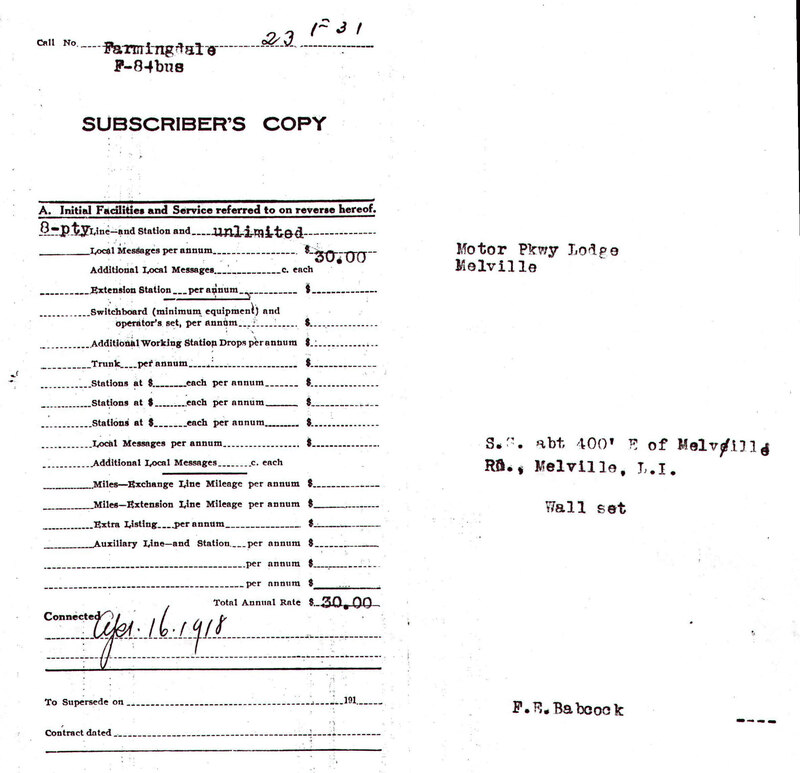 Another mystery: Why was the lodge called the Huntington Lodge when it was located in Melville? 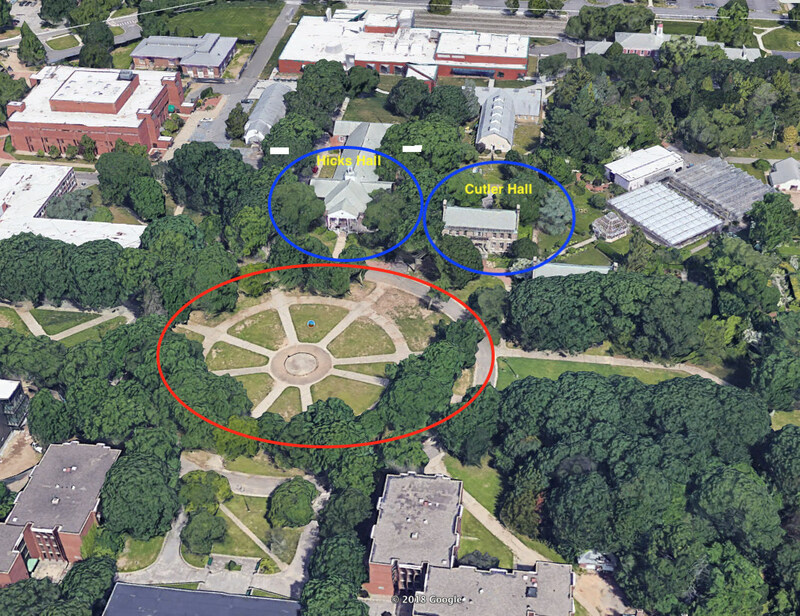 Congrats to Michael LaBarbera, Lindsay Bergin (see below jpegs), Brian McCarthy, B. Sansom, Tim Ivers (see jpegs), Greg O., Art Kleiner (see Kleiner's Korner), Joe Oesterle, Steve Lucas and Frank Mendyk for identifying the Melville location. Kudos to Lindsey Bergin, Brian McCarthy, Tim Ivers, Greg O., and Frank Mendyk for identifying the very elusive Huntington Lodge. 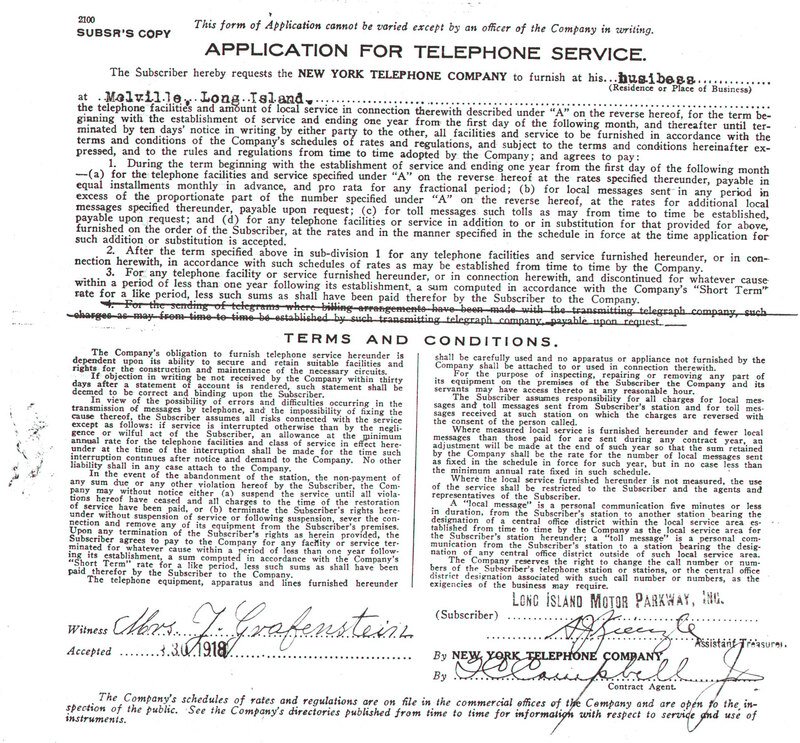 This application for telephone service for the "Motor Pkwy Lodge Melvile" (kiosk) was located "S.S (south side) about 400 feet wast of Melville Road". Huntington Lodge is north of the Motor Parkway, while the Broad Hollow Road entrance/exit is south of the Parkway. 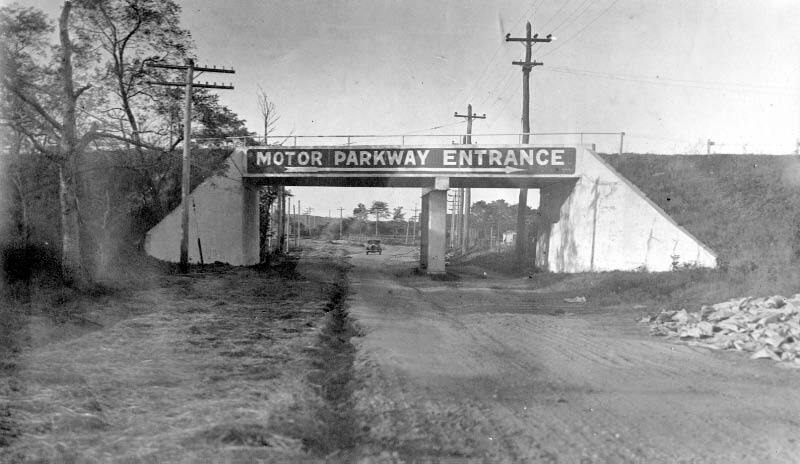 Circa 1940s (The Motor Parkway was closed in 1938). 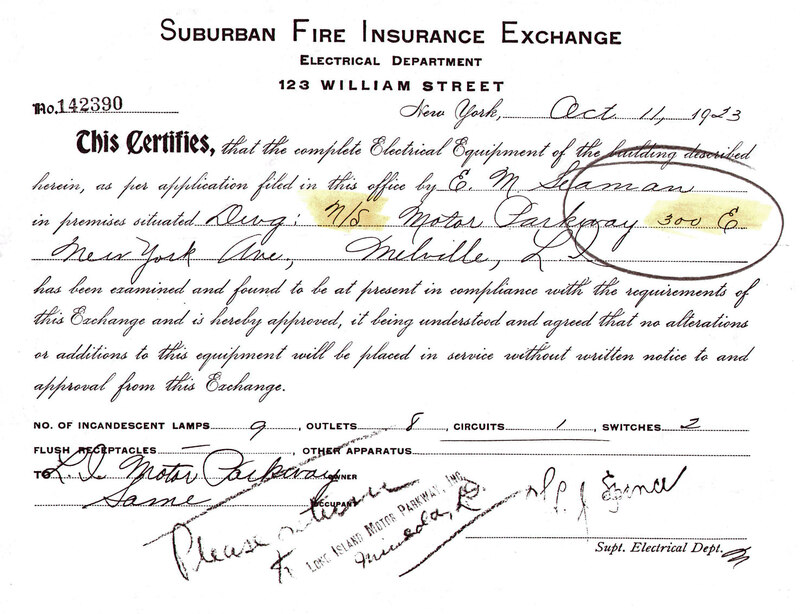 Rather than build a lodge from scratch with a design from the now famous architect John Russell Pope, the Motor Parkway chose to purchase a pre-cut four room bungalow for the Mineola Lodge. 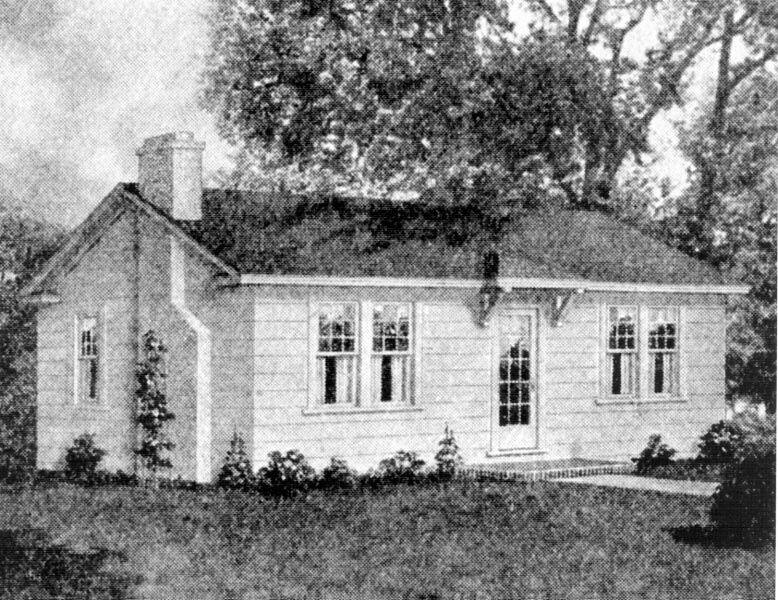 According to my favorite co-author Al Velocci in his book "The Toll Lodges of the Motor Parkway, and Their Gatekeepers' Lives", the bungalow was ordered from Aladdin Redi-Cut Houses of Bay City, Michigan. Unlike the Russell lodges, the bungalow offered a single floor with a kitchen, dining alcove, living room, two bedrooms and space for a bathroom. 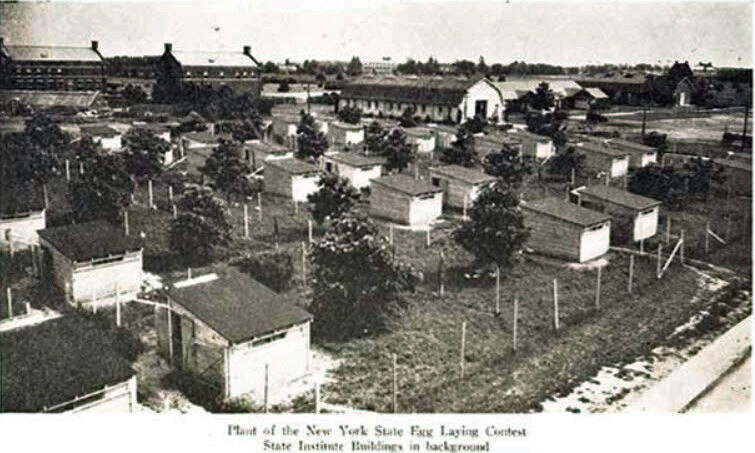 The Ronkonkona Lodge and Huntington Lodge were based on the Mineola Lodge,When the Huntington Lodge was built on site in 1921, the new lodge had no electricity, no indoor toilet facilities and no central heating. 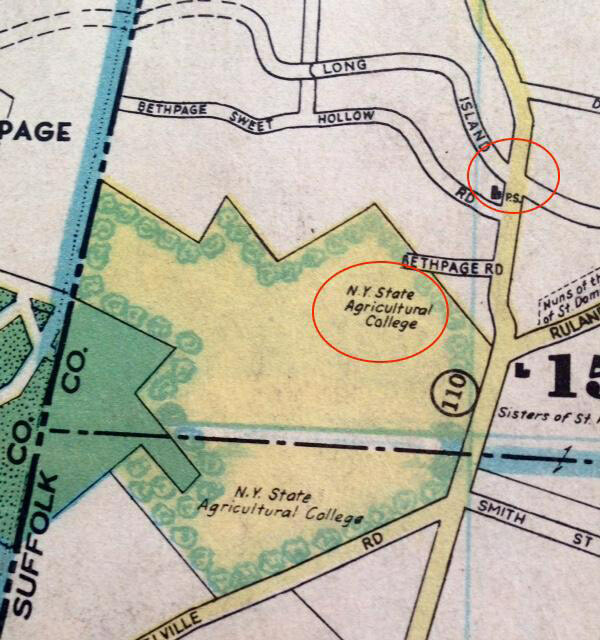 Farmingdale College (the agricultural college of earlier years) looking north east sometime in the 1930s, in the distance is the Broad Hollow Road and its LIMP bridge with a trolley line underneath and off to the right, The Toll lodge and Ruland Road off to the right. • What is the location and the orientation of the photographer? East Farmingdale South of rt 110 (Broadhollow Rd) facing north. • Identify the Motor Parkway structure(s). What is unusual about the structure(s)? Broadhollow Rd bridge and Huntington Lodge. There’s also a billboard. I’m new at this so I’m not sure what’s unusual about them. *Location/Orientation: Excellent bird’s eye view of East Farmingdale and Melville in a northwest direction. *LIMP structures: Pkwy/Trolley Bridge over Broad Hollow Rd. 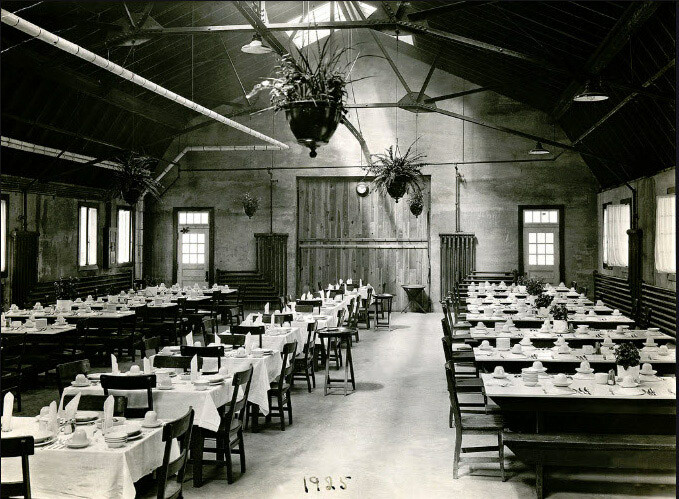 The Huntington Lodge is at it’s original location. 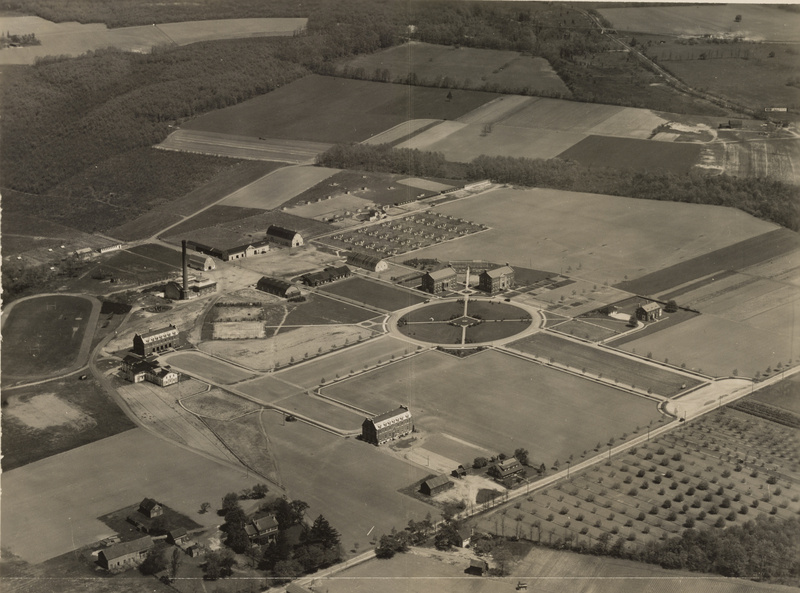 *Aerial Date/Rationale: I’ll say 1930. 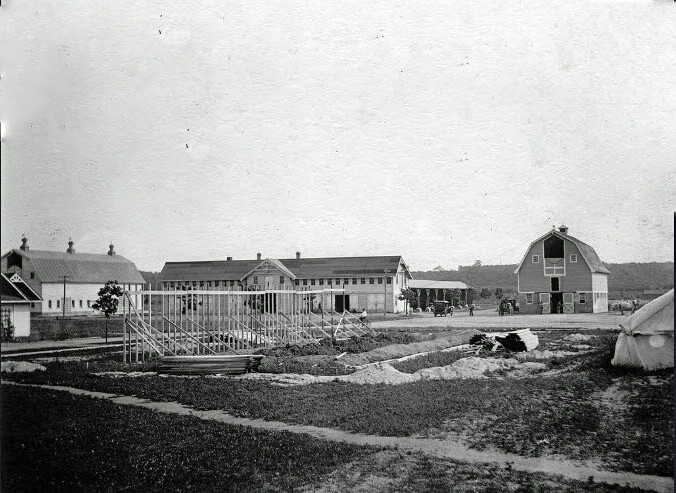 College was established 1912. 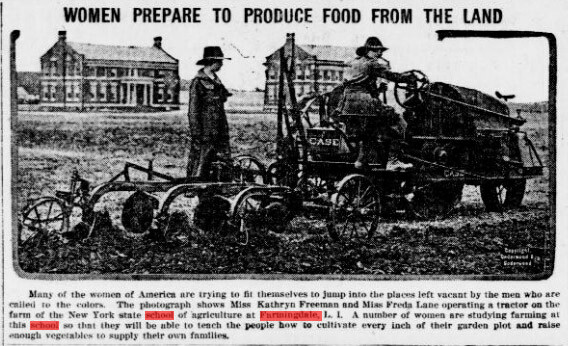 Believe the trolley service ended early 1920’s, I see dirt paths on the ROW north and south of the bridge. 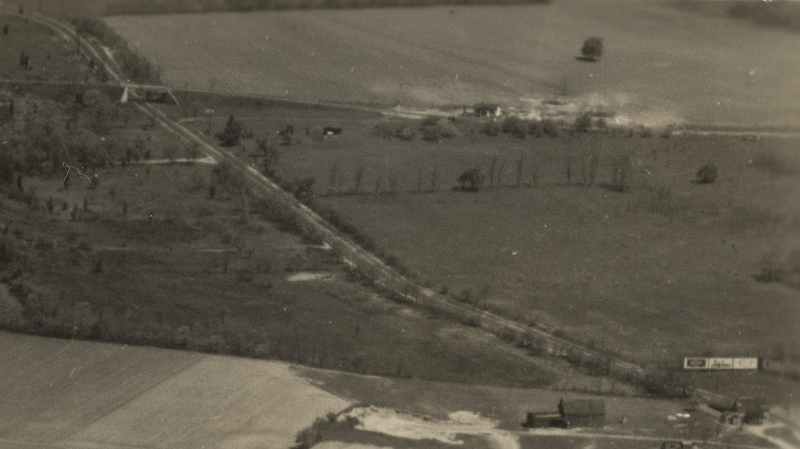 Tough to say if Broad Hollow Rd is paved, but read this was done in the early 1930’s. The lodge is active on the north side of the LIMP. Bright Beginnings child care center in Queens Village, Inc. is located on the grounds of Creedmoor Community Campus in Queens Village between Winchester Blvd. and the cross island parkway, just south of Creedmoor hospital. The photographer is looking north west the motor parkway is in the upper right in the photo. The bridge over Winchester Blvd. 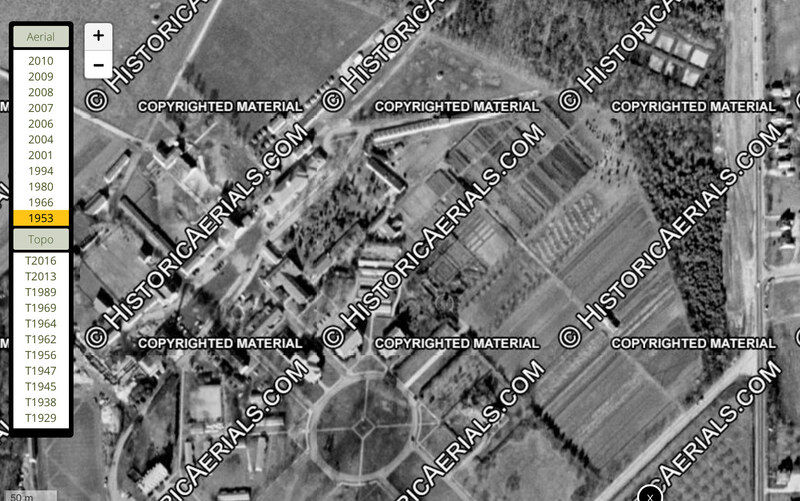 or one where Creedmoor hospital now stands is also there. Union turnpike has not been extended as of yet in this part of queens so I would put the time of the photo at 1920. 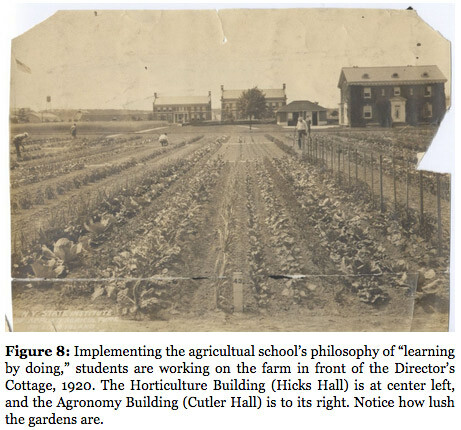 I Think , Farmingdale State College, At Melville Rd. Road. At the top right corner appears to be the Broad Hollow Road bridge, distinguished looking having both an auto and a trolley opening (Huntington to Amityville) and to the right of the bridge it looks like the Huntington Lodge. -What is the location and the orientation of the photographer? 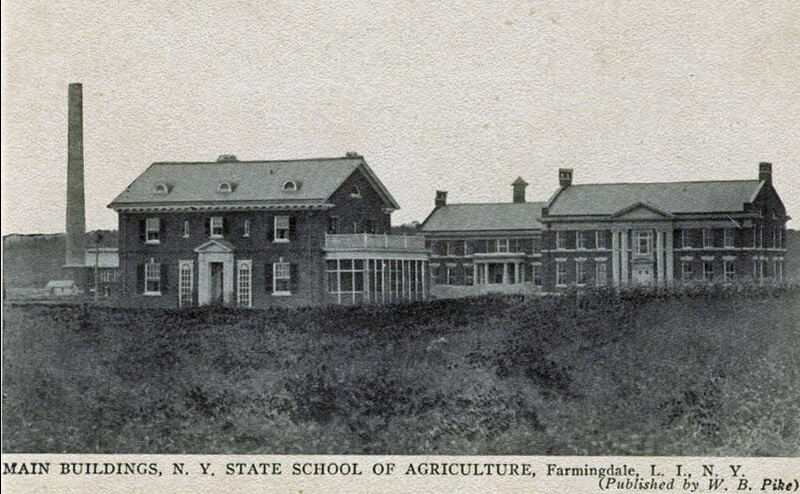 Farmingdale State College/SUNY Farmingdale, known then as, The New York State School Of Agriculture on Long Island. 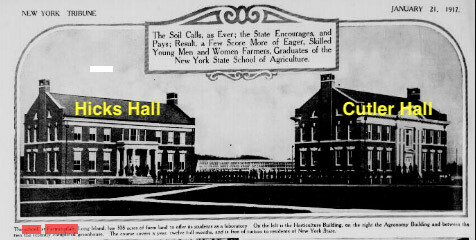 The college was chartered in 1912 as a school of applied agriculture. In the upper right, the vertical road is Broadhollow, the LIMP is the horizontal and a small sliver of Spagnoli. 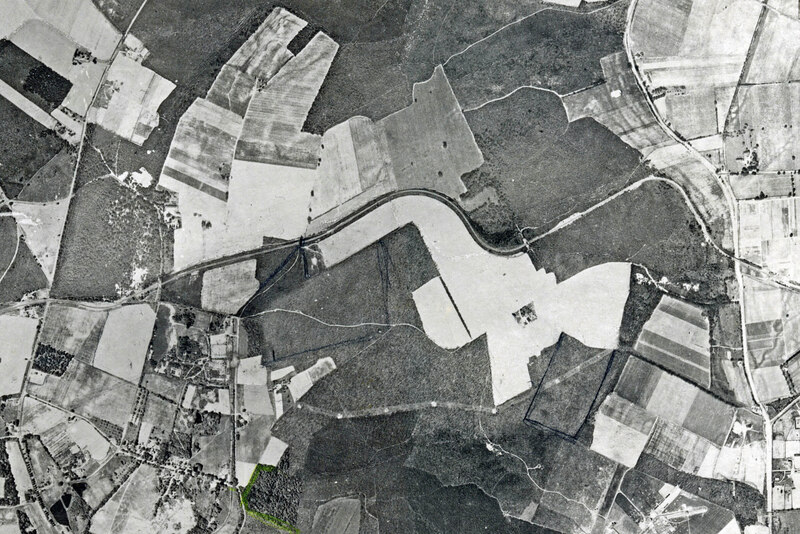 Melville road is in the lower portion of the photo. -What is the approximate date of the Mystery Foto? Provide a rationale. -Identify the Motor Parkway structure(s). What is unusual about the structure(s)? Broad Hollow Road Bridge (This was the second Motor Parkway bridge built over a road and trolley track) and the Huntington Lodge, a pre-cut four room bungalow, for the Mineola, Huntington and Ronkonkoma Lodges. 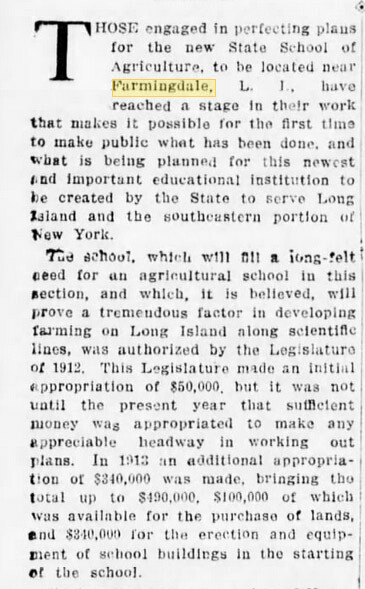 1924 - State Institute of Applied Agr. 1939 - State Institute of Agr. Broadhollow Road and Trolley Bridge. Bridge had an extra lane of which the trolley went through. Huntington Lodge, possibly Clody Farm Bridge to the west. 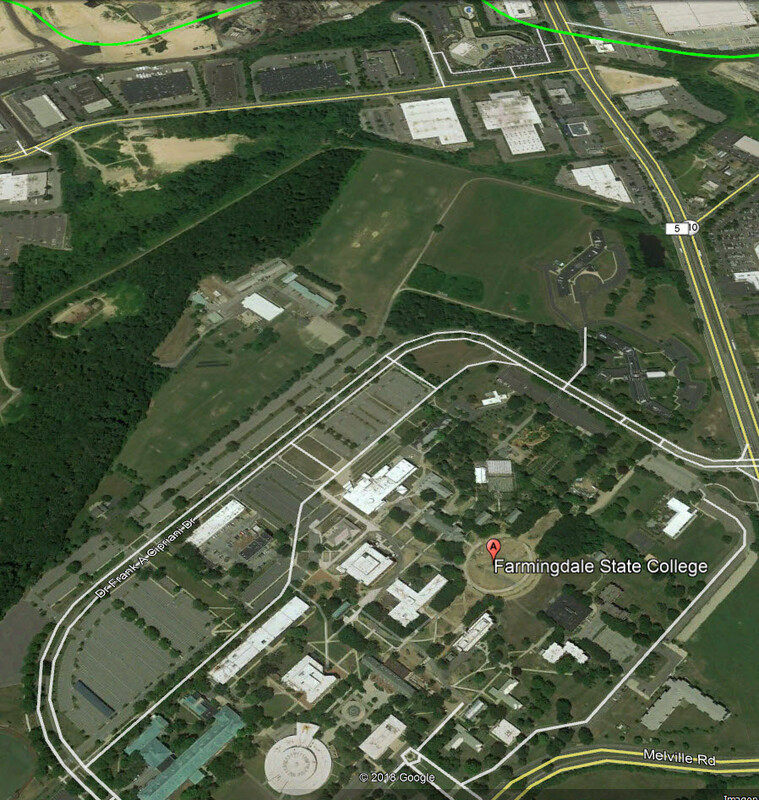 LIMP Bridge passes to the north of Farmingdale College. The Huntington toll lodge is to the east. We are looking north. The bridge had a separate area for the trolley to pass under. 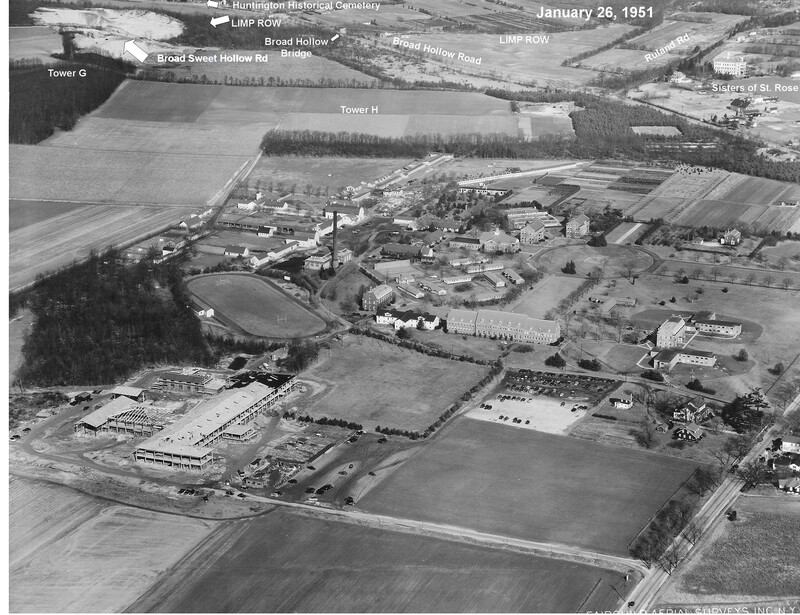 We’re over East Farmingdale looking north / north-east with an early view of SUNY Farmingdale, then known as the NYS School of Agriculture on Long Island. Major roads are Broad Hollow Road (route 110) and Melville Road. The LIMP structures are the Huntington Lodge and the bridge over Broad Hollow Road. 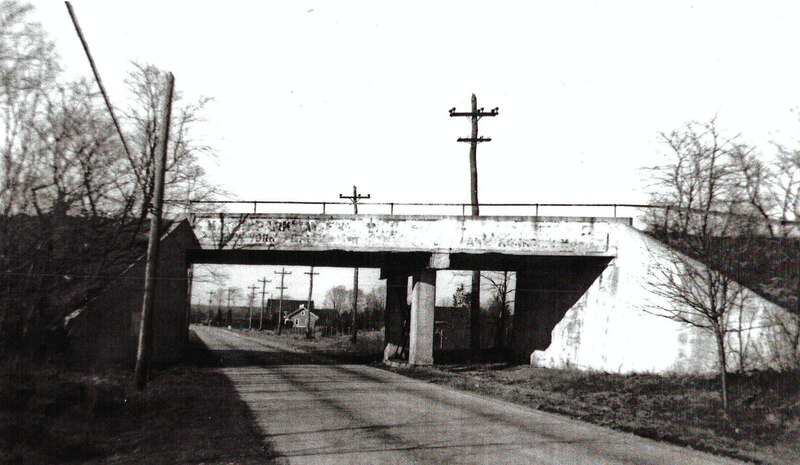 The bridge is unusual because it was one of only three that had a center pillar, the others being Clinton Road and Westbury Avenue. 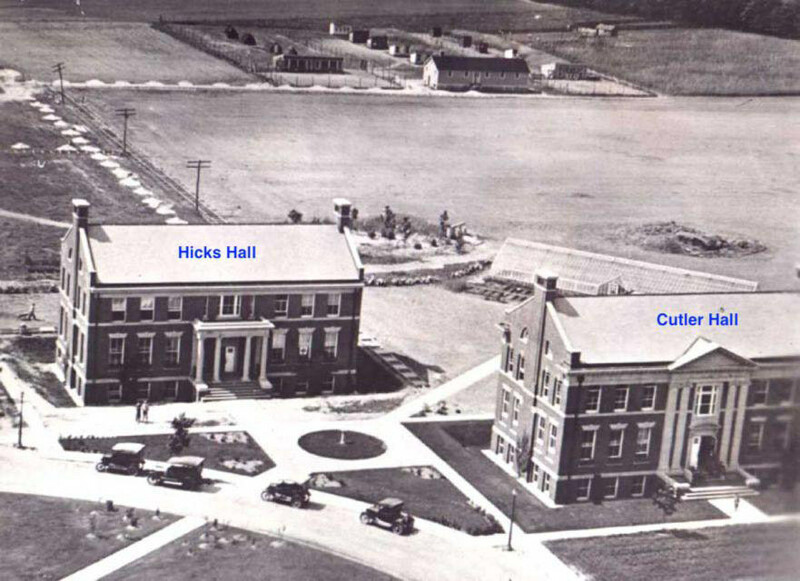 Since Knapp Hall (1937) and Thompson Hall (1938) have not yet been built on the campus and the trolley tracks on Broad Hollow Road appear to have been removed after service was ended in 1927, I’ll guess the date to be around1934-1935. Missed Spagnoli Road in my earlier entry. 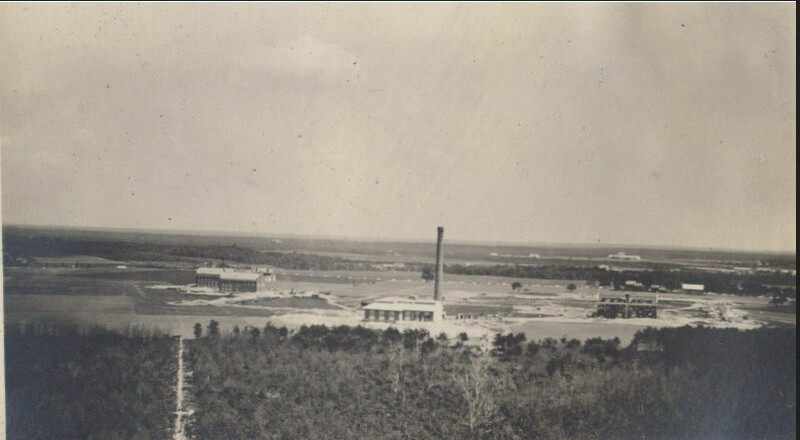 Date of Photo - The trolley line stopped operation in 1927 and it appears the line is abandoned in the photo. 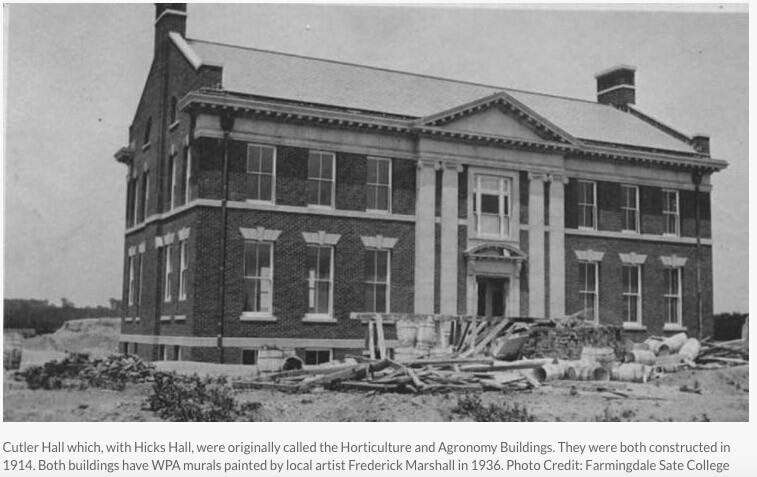 Knapp Hall was built in 1937 and is not in the photo. 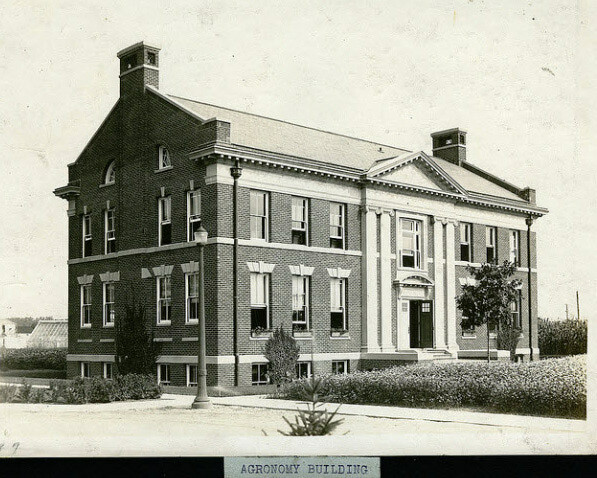 Thompson Hall was built in 1938 and is also not in the photo. I would date the photo as taken in the early 1930’s (1930-1935). WOW again! Excellent photo submissions by all. 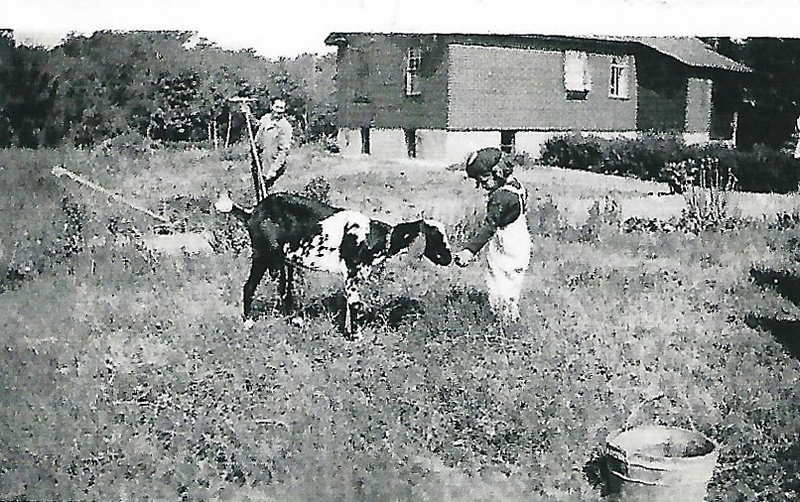 And yet another first in photos; an actual shot of the Huntington Lodge at its original location. No porte cochere! Edith’s farm was just missed in the bottom right corner. Fabulous high resolution photo Richard!